Norman Lear, Kennedy Center Honoree, To Skip White House Reception In Protest : The Two-Way The 95-year-old TV producer and writer says he cannot celebrate "at a White House that has no interest in supporting the Arts and Humanities." 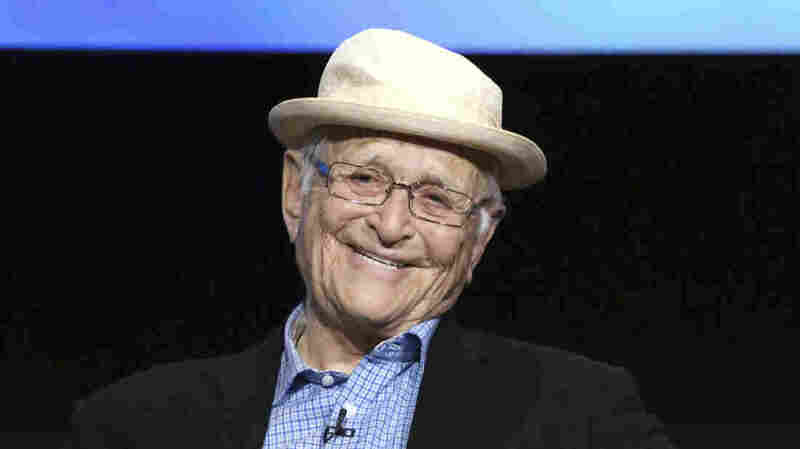 Norman Lear, a longtime progressive, will still accept the honors at the Kennedy Center, which, he tweeted, "represents the Arts and Humanities which mean everything to me." "As an artist and a human being, I cannot celebrate this incredible honor ... at a White House that has no interest in supporting the Arts and Humanities," the legendary television producer and writer tells NPR's Elizabeth Blair. But it is his creation of Archie Bunker, from All in the Family, whom Lear has described as "a lovable bigot," that perhaps still resonates most strongly. The character, played by Carroll O'Connor, delivering off-color zingers in New Yawkese might remind some of a certain figure occupying the Oval Office, reports The New York Times. For four decades, the Kennedy Center Honors have been awarded to those "recognized for their lifetime contributions to American culture through the performing arts."